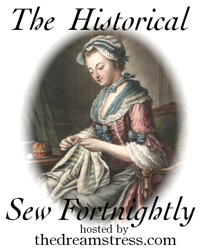 The second item of clothing in my men’s Regency wardrobe will be a neckcloth or cravat. In Regency times, a cravat was used for the same purpose as a bow-tie or neck-tie is currently used in today’s society. It was pretty much a “dressing” for the neck of a shirt. Cravats originated in the early 1600’s when the use of Elizabethan ruffs began to fall out of fashion. The French had copied the fashion of the Middle Eastern men who wore a simple strip of material tied in a knot around the neck. This new form of neckwear was in use throughout the 18th and 19th century in various forms and were known by several different names, including stocks, neckerchiefs, and scarves. During this time they varied in style, material and colour, but they all consisted of a strip of fabric that went around the neck and was fastened in some manner. The 18th century lace cravats gave way to plain white linen ones during the Regency era. By 1818, pale coloured cravats were introduced for daywear (according to Neckclothitania, a pamphlet discussing various ways to tie neckcloths). Later in the 19th century, black cravats and then patterned ones appeared. The forerunner of the modern tie was developed in the late 19th century. During the Regency, neckcloths were cut differently depending on the way in which they were tied. The materials they were made out of also differed depending on the manner of tying, as some required a more delicate flowing fabric, and others required a stiffened appearance. My next post in this series will cover the different ways of tying cravats. Or cut a triangular piece of material, with the base of the triangle 60 to 80 inches long and against the selvedge. The height or point of the triangle should be centred in the middle and measure 10 inches high. 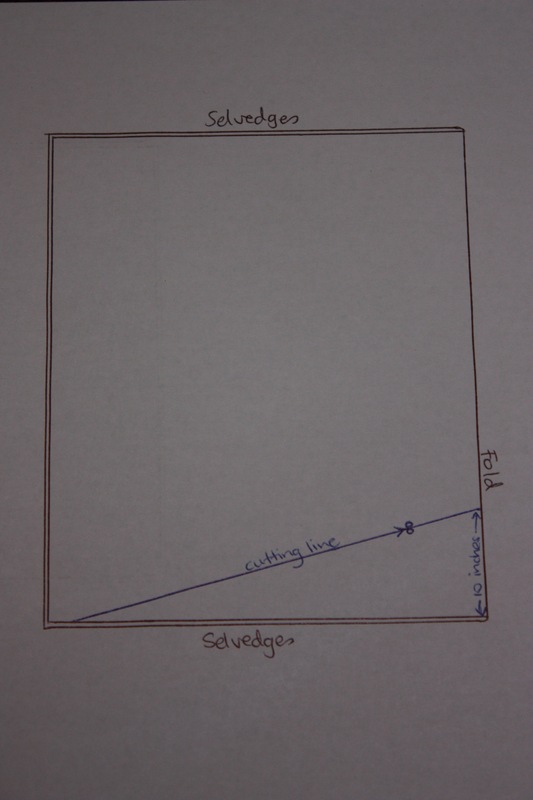 The picture above shows the cutting line when a length of material is folded with selvedges aligned. The height of the triangle is 10 inches (remember to allow a little extra for a seam allowance) and the length along the selvedge should be half of the finished length. You can also cut a second triangular neckcloth (or a rectangular one) out of the other selvedge edges. Once the material is cut and opened out, you will have an isosceles triangle with two edges to hem. Hem the raw edges and you are ready to begin tying! My next post in this series is on tying a cravat. 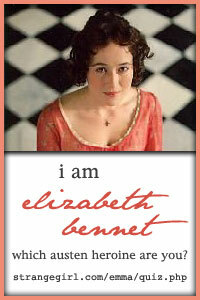 To read all of the “MY Mr Knightley” posts in order, go to My Regency Journey. Image Source, Le Beau Monde or Literary Fashion Magazine, April 1808. Neckclothitania; or Tietania, being an essay on starchers, by one of the cloth – read it free as an ebook on Google. There is, isn’t there! Can’t wait to take pictures of my man in a cravat!